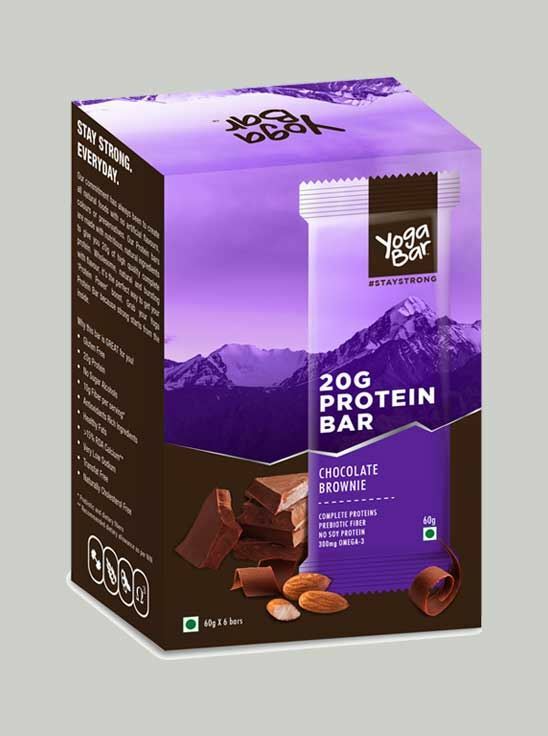 Yoga Bars are all natural foods with no artificial flavors, colors or preservatives. Made with simple, nutritious, natural ingredients. Yoga Bars are a delicious way to energize and discover all the good stuff life has to offer. Inspired by Life- Our energy bars add a little Zen to your snacking - whole grains, Nuts, Seeds and a whole lot of yumminess. Flavors- Chocolate Chunk, Vanilla Almond, Cashew Orange, Peanut butter, Nuts and Seeds, Cardamom and Coffee. Stay Strong Every Day- Our Protein bars have some pretty standout features - 20g of high-quality complete protein, more than 30% almonds, 10 g prebiotic fiber, 300 mg Omega 3s, >15% RDA calcium. Of course, it’s also all natural and tastes like a whole food bar - it's the perfect way to get your 'Protein Power' boost. Grab your Yoga Protein Bar because strong starts from the inside.